Fashion Herald: Free Makeup, Etc. Yes, in the 34th Street district you can get it at Macy's Herald Square. Read the settlement here and get product info. And no, you don't need to show receipts. I may have to get the Clarin's Beauty Flash "Bomb." I think they mean "Beauty Flash Balm," right? Makeup bloggers, help! 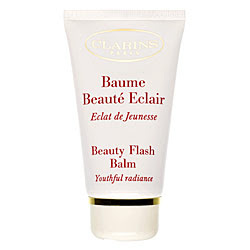 I googled "clarins beauty flash bomb" and got scary stuff not about fab skin cream. But do get Beauty Flash Balm if you can because it really works. Once, after working a late, late night, I used it for a little fashion show early the next morning and the models all oohed and ahhed over my "fresh" skin. I practically bathed in it after that. I almost went down to get me some beauty bomb flash, but couldn't make it. and would have never waited in line.